Posts tagged "inFamous: Second Son"
Sony and Sucker Punch has revealed more details about the first DLC pack for inFamous: Second Son. 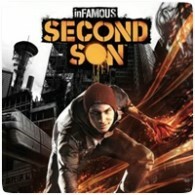 inFamous: First Like is a prequel to the game, which takes place two years before the events in Second Son, with the player controlling Fetch and her neon powers. In the game, Fetch has her own side quests to complete, separate from the main scenario, and she even has her own version of blast shards to collect. Sony has confirmed that the first inFamous DLC, First Light, will be releasing in Europe in August. 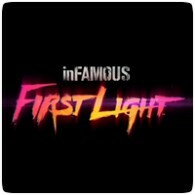 inFamous: First Light will be a stand-alone DLC that can be enjoyed without owning inFamous: Second Son on the PS4, and will be available to purchase and download on August 27th 2014. It’s likely that the game will be releasing in North America a day earlier, on August 26th 2014. In the UK Games Chart this week, FIFA World Cup has debuted in 2nd position, but Titalfall continues to top the chart for another week. 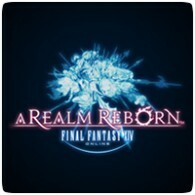 Final Fantasy XIV: A Realm Reborn has re-entered the top 20 too, thanks to the PS4 release last week. PS4 exclusive inFamous: Second Son has dropped a further few places down the chart, finishing in 15th place. inFamous: Second Son has received a major patch, adding a number of new features and tweaks to the game, including addressing some gamer feedback. The patch includes a number of fixes for rare crashes in the game, allows you to disable the HUD, and a new Photo mode. Sucker Punch has started working on a new inFamous: Second Son patch for the PS4, adding a few small features requested by gamers, and will be releasing in coming weeks. Among the changes is the ability to change the time-of-day in the game, and disabling the HUD. PS4 exclusive inFamous: Second Son has managed to keep it’s top spot in the UK Games chart for another week, once again beating Metal Gear Solid V: Ground Zeroes, which remaining in 2nd position. Final Fantasy X/X-2 HD Remaster has dropped six places to finish in 10th, while new entry Diablo III: Reaper of Souls debuted in 6th position. Just like how Titanfall helped increase sales of the Xbox One by 96%, the release of inFamous: Second Son last Friday has helped increase sales for the PS4 by 106%. PS4 sales were said to have rose 74% during the Titanfall launch, so this is another 104% on top of that, but without actual sales numbers, it’s difficult to tell how many extra PS4s were actually sold. PS4 exclusive inFamous: Second Son has shot to the top of the UK games chart, smoking the competition (get it?) after releasing on Friday, 21st March 2014. inFamous beat multi-platform new release Metal Gear Solid V: Ground Zeroes, which took second place, and Xbox One exclusive Titanfall, which fell to third place.